Let's face it. Shower curtains can be a real pain to install and a pain to remove and clean. The problem has been solved with the flexi hook. Take a look at our shower curtains and you won't look back. 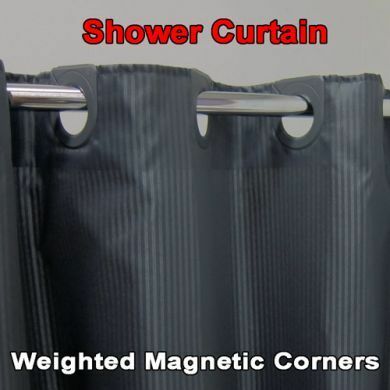 These have been so popular with home showers and for bathrooms in hotels around Australia.